Having travelled to Papua New Guinea and the Amazon, observing age-old techniques for living in, working in and preserving forests and woodland, Ben Law felt compelled to return home and apply his learnings to a 400 year old plot of woodland near where he grew up - Prickly Nut Wood. 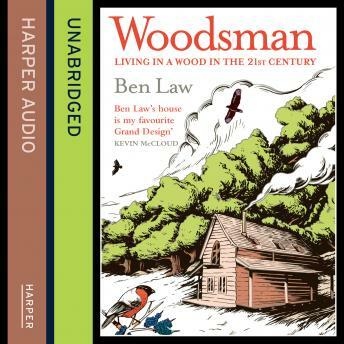 And it's the story of the wood itself - how it lives and breathes and affects all those who encounter it, and how it's developed over the twenty incredible years Ben has shared in its lifespan. It's an incredibly transporting tale that will make you long to hear the dawn chorus, and appreciate the beauty of Britain's pockets of woodland.